QUETTA: Three members of an international oil and gas company survey team were killed and five injured when their vehicle went over a landmine in the Toba Nohkani area of Dera Bugti on Tuesday. According to Levies personnel, members of the international company were surveying the Dera Bugti area for oil and gas reserves when their vehicle struck a landmine “planted by terrorists”. “At least three members of the survey team were killed on the spot while five others sustained severe injuries due to the blast,” the Levies personnel added. A heavy contingent of Frontier Corps and Levies force personnel flanked by rescue workers reached the site of the incident and cordoned off the entire area. The critically injured were flown to the Combined Military Hospital (CMH), Dera Bugti via a helicopter. The deceased were identified as Abid Hussain, Akhtar Jan and Zikriya Khan. Their funeral prayers were offered at the Pakistan Petroleum Limited office after which their bodies were sent to their native towns in Sindh and Punjab provinces for burial. The injured Ali Abbas, Muhammad Waqas, Akmal Khan, Hafeezur Rehman and Sanaullah are being treated at CMH, Dera Bugti and are said to be out of danger. 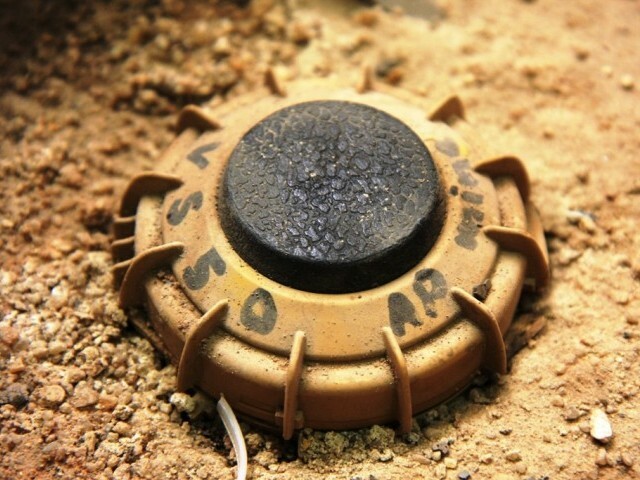 Security forces have launched a search operation in the nearby areas of the landmine blast. However, no arrest was made.